Anaplastic large cell lymphoma (ALCL) is an aggressive T-cell lymphoma that affects mainly children but also adults. ALCL is further sub-divided into three/four disease entities based on expression of the Anaplastic Lymphoma Kinase (ALK) oncogene and disease location: Systemic ALCL, ALK+ and ALCL, ALK- (the latter being a provisional entity), cutaneous ALCL and implant associated ALCL (iALCL). In ALCL, ALK is expressed as the result of a chromosomal translocation with the t(2;5) being the most common event juxtaposing the oligomerisation domains of NPM1 to the entire intracytoplasmic region of ALK. There are many other ALK translocation partners but these are rare by comparison. The latter two diseases are generally ALK- and whereas systemic ALCL, ALK+ has a relatively good prognosis with a 5-year survival rate approaching 80%, ALK- disease has a far worse outcome (specifically systemic ALCL, ALK-). Disease relapse is common (approximately 30% of systemic ALCL cases) and whilst these patients remain sensitive to chemotherapy, treatment is often limited by its toxic side-effects. However, research discoveries have highlighted a number of novel drugs and targets for the treatment of ALCL, specifically ALCL, ALK+ (Figure 1). Indeed, ATP-competitive inhibitors of ALK have been shown to induce tumour cell death. The most advanced clinical compound of this class of drugs is Crizotinib, an ALK and c-Met inhibitor that is currently under clinical trial for the treatment of ALCL in the USA, China and Italy (NCT00939770, NCT01606878, NCT02487316, NCT02419287). However, it is known from experience of other ‘kinase inhibitors’ like Crizotinib, that mutant forms of the ALK protein will evolve which are resistant to the inhibitor and hence disease relapse ensues. In this vein, other ALK inhibitors have been designed by many companies and undoubtedly will enter the clinical arena in time. However, it is also possible, that by understanding the mechanisms employed by hyperactive ALK signaling towards transformation and cancer cell survival we will be able to design other drugs that will act synergistically with ALK inhibitors to prevent disease recurrence. 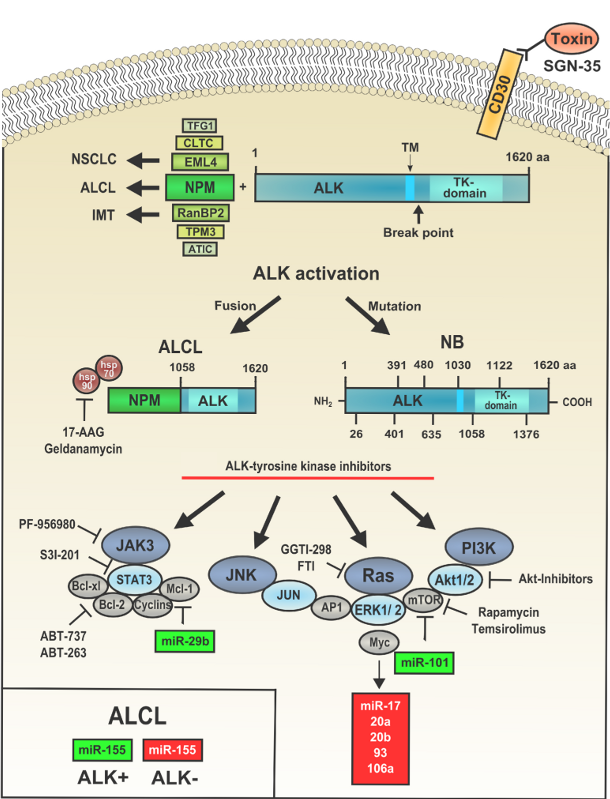 Figure 1: Pathways activated as a result of aberrant ALK expression in ALCL and other ALK-related cancers.